What do you do if you have 10, 100, 1000 or more part numbers or NSNs (National Stock Numbers) and you quickly need to retrieve who is stocking those parts, what the packaging requirements are, who the OEMs (Original Equipment Manufacturers) are, what open solicitations exists against your parts or NSNs, what the procurement history and price points are, what the contract numbers and award dates were and the winning vendor? Additionally and also reported separately, which ones have been purchased through GSA contracts including contract start and end dates, buyer codes, schedule number, contract and formal contract numbers, usell price (and more)? One option is to look them up part by part and print or copy and paste the data into a spreadsheet. It’s functional but very time consuming. Unfortunately many still rely on this method. Additionally, our Batch Search Manager also allows for the ability to run batch reports on CAGE Codes to quickly get a glimpse inside those companies including the products for which they are approved, the products which they have sold and more. We don’t believe this tool is for everyone but the participation we have had in the product since it was deployed in November 2014 has been no less than tremendous and the feedback we have received since has been used in subsequent updates & upgrades. This tool greatly compliments what Govgistics offers which includes a full Bidmatch Opportunity Manager that relies on your saved searches to deliver to you open RFQs and RFPs from the DoD with full FLIS & history included as well as Navy AEL information and rule based email notifications, a Global Search module for additional opportunities, a BSM expired but not yet awarded module, Casting Supplier search module with the ability to send RFQs and full suite of Market Research tools which provide simple and advanced analytics and reporting including a Historical Solicitations search module, EMall Sales History and access to the FAA PMA database. If you find yourself doing repetitive work to find out the same information on multiple parts, NSNs or CAGE Codes time and time again or if you want to upgrade from the current method by which you search, then we invite you to call your customer service representative to ask about a trial of this feature or come by and ask for your free trial and quickly discover why thousands of companies rely on us as their daily driver. 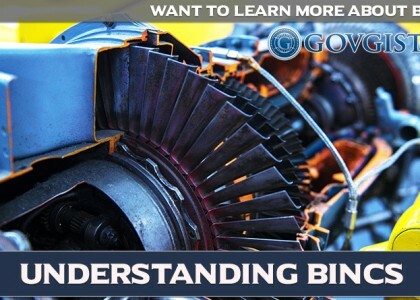 What is BINCS? The Business Identification Number Cross-Referencing System Explained.